Nuno Espirito Santo said his side need to control the ball and manage the game better after losing from a goal up at Cardiff. 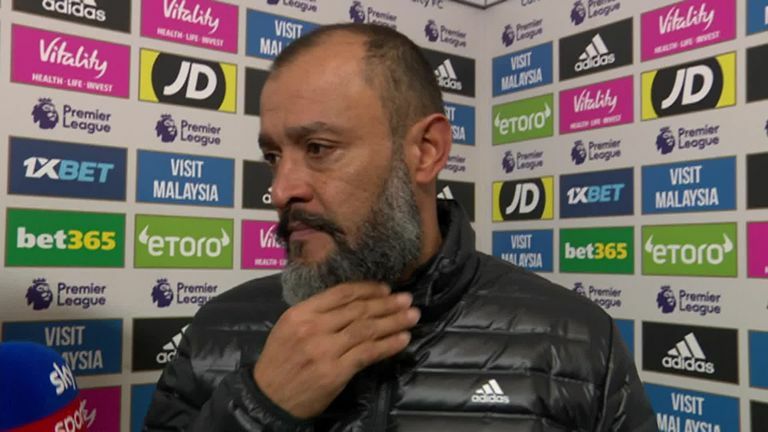 Nuno Espirito Santo says he is “cautious” rather than worried about Wolves’ form after their sixth game without a win. Wolves threw away three points after scoring first for the first time in 45 games, a run stretching back to February 2017 when they lost 2-1 at Burton Albion after netting the opener. Santo was asked whether he was concerned by Wolves’ form, which has left them winless since a 1-0 victory at Crystal Palace on October 6.